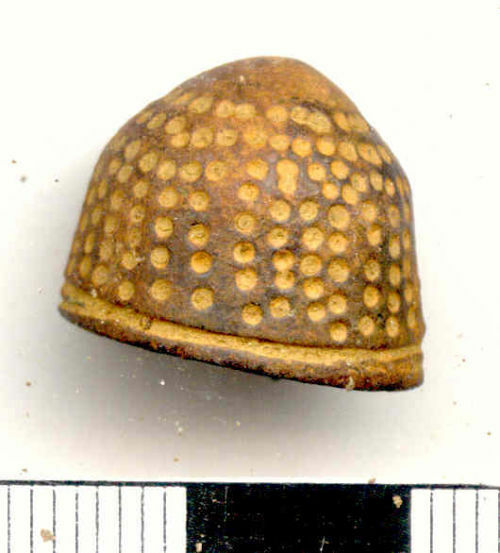 A Medieval/ Early Post-Medieval (1400-1600) copper-alloy beehive thimble of cast construction.. The thimble is domed with slightly flared sides and a rounded 'tonsure' top. The drilled pits begin outside this and continue in a continuous spiral to the base in a regular fashion. Above the base is a plain rim.